America’s history through the lens of the African American experience: We take a journey through the spectacular new National Museum of African American History and Culture in Washington, D.C.
For a hundred years it was demanded, dismissed, and postponed. 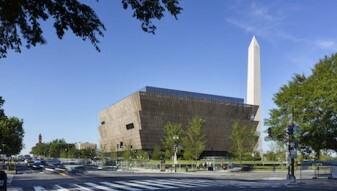 Since September 2016 it has stood like a bronze beacon in the middle of Washington, D.C.: the National Museum of African American History and Culture. 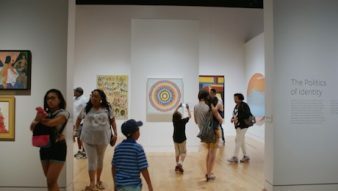 Across 100,000 square feet of exhibition space spread across eight levels, the museum explores America’s history through the lens of the African American experience. 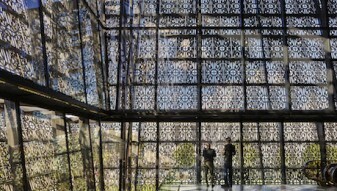 In its first year, the museum has attracted more than 3 million visitors. The film takes us on a journey through the building and the exhibitions—from the dark and low-ceilinged basement where everything starts with the history of slavery and freedom, segregation and the civil rights movement, to the upper, light-flooded galleries dedicated to African American music, visual arts and contemporary culture. Interviews with the project’s key figures give detailed insights into the challenges and conflicts during the formative stage of the museum and its overwhelming success in its first year in operation. Among the interviewees are founding director Lonnie Bunch; the chairman of the museum council, former American Express CEO Kenneth Chenault; the lead designer of the project, architect Sir David Adjaye; and Columbia architecture professor Mabel O. Wilson.